Vegas, baby, Vegas! Listen, my man, quit it with the quiet, subdued suits of yesteryear. The age of Mad Men is over. Now? It's all about grabbing that attention so that all eyes in the room are on the only man who matters, you. People think it's flashy? That's the whole point. 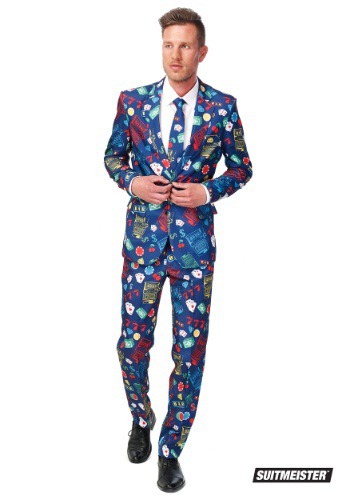 With this suit and tie, Lady Luck is always by your side, whether you're shooting craps, spinning the roulette wheel, or going all in on a straight draw waiting on the dealer to show you the river (that's poker talk). 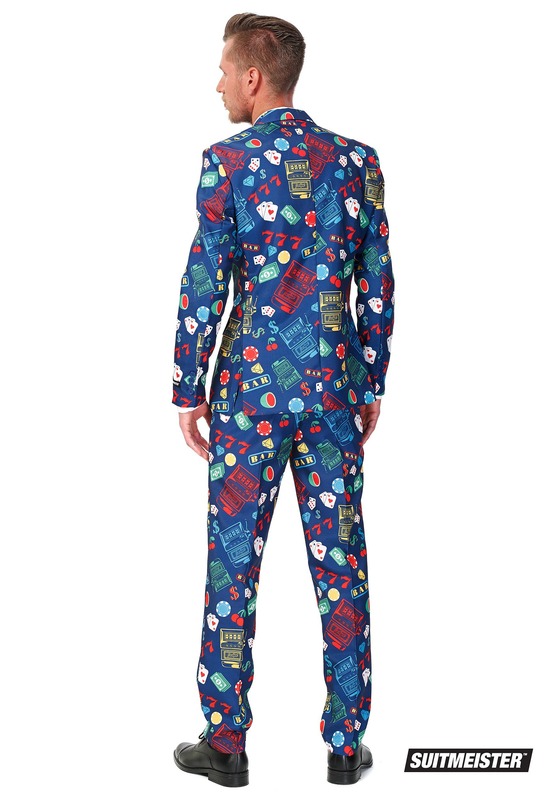 Yes, that's right, you've got aces up every sleeve in this suit. You'll look so sharp, the pit boss will be worried you'll cut up the casino seats. And if you fall into a hole and you're really down on your luck, just cut out a few of the chips on this suit and throw them onto that felt table. "I'm good for it," you'll tell them with a steely eye. They will probably kick you out after that, and you'll have ruined a perfectly good suit, but what a power move! No one's going to forget that! What happens in Vegas stays in Vegas unless it's something so incredibly cool as you that by the time you get home, the local paper is carrying the story. So suit up, win against the odds, and if you see the woman of your dreams from across the casino, she's probably already on her way to you (unless she's busy feeding quarters into that slot machine. She's probably really focused on that. But if not, maybe she's focused on you!). She sits next to you. You glance over, your drink in your hand, glance at your suit. "Can I deal you in?" Boom! She's swooning.